It’s freezing and snowing in New York–we need global warming! I was going to include some tweets from Anthony Weiner, but I clearly can’t. Looking at Job Candidate #1’s tweets…well, I’ll let you judge if you want to work with this person every day. Can you imagine if this was your manager? Job Candidate #2 finds herself in the middle of a Twitter feud. And public Twitter feuds harm everyone involved. Ok, Twitter feuds and mean tweets are just part of the political landscape now. Both of these people are very wealthy and never have to worry about how to make money. The curse of Twitter is that regular people start to think this is appropriate behavior for them. For the rest of us normal people trying to support ourselves and stay employed, these tweets are career suicide. No hiring decision should be based solely off of social media results particularly if they are not job-related. However, job seekers should ensure that they have a more positive social media presence particularly on Twitter and especially during an election season. If you found yourself in a Twitter feud, time to run TweetDelete and save your future. Before reality tv and social media, oversharing was career suicide. You didn’t talk in the office about politics and religion. Now people are self-publishing their beliefs in a feed. Think about that. Posting is self-publishing without an editor. Without a fact-checker. Most people should run their mean tweets by their kids. Even worse, they are tweeting and posting in the middle of the night, sometimes after drinking and in anger. That can’t end well. Think of the internet as an extension of the formal professional setting that used to be just your office and work events. Now it’s all of the time, everywhere, every day and it’s a problem. Never before has the line between the professional and personal worlds blurred so much. And job seekers are the most vulnerable to self-destructing by oversharing abrasive beliefs in social media. This election season has revealed many of us are one Facebook post away from a ruined friendship with someone on the other side of the political spectrum. Even innocuous posts can be perceived as political tirades. Everyone has a platform for publishing thoughts that used to be exclusively shared at a dinner party debate or in a personal conversation. The results are often disastrous. HR leaders are still grappling with how to appropriately use social media in candidate assessment in a legally defensible predictive manner. An employee’s social media can affect the reputation of a company and some hiring managers believe it is an indicator of whether or not a candidate will be a good cultural fit. Even if they won’t admit it. Your legacy is no longer confined to letters, diaries, meetings, phone conversations, and presentations. Years from now, people will look at the tweets published by this year’s presidential candidates and their followers comments. That alone is scary. That comprises their legacy. As odd as it may sound, one day a kid in high school may be reading about Donald Trump’s tweets in history class. Although you may not be a Presidential candidate, proceed with caution online, especially on Twitter. And especially if you’re on the hunt for a job. Or if you think you will ever need to conduct a job search in the future. Don’t post something on the internet unless you’re ok with some kid reading about it in a history textbook. Or your kid reading it now. Candidates, give your job application the best chance with resume optimization. 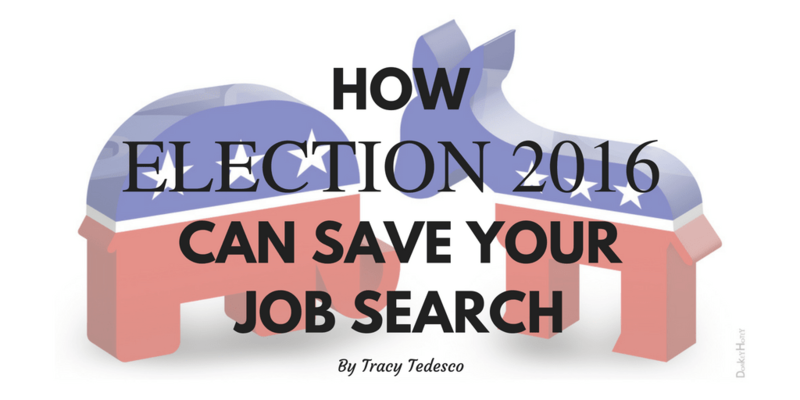 Employers, make sure you are giving candidates the best chance possible.